Two girls, two guys, and the number 1 hits of the 70’s makes for a whole night of fun. This Florida-based quartet brings a high energy show featuring the songs of The Eagles, Linda Ronstadt, The Bee Gees, and the Swedish sensation ABBA. There will be clapping, singing, and dancing in the aisles when these guys and gals bring their brand of powerful vocal harmonies, world-class entertainment, and crowd interaction to the stage. 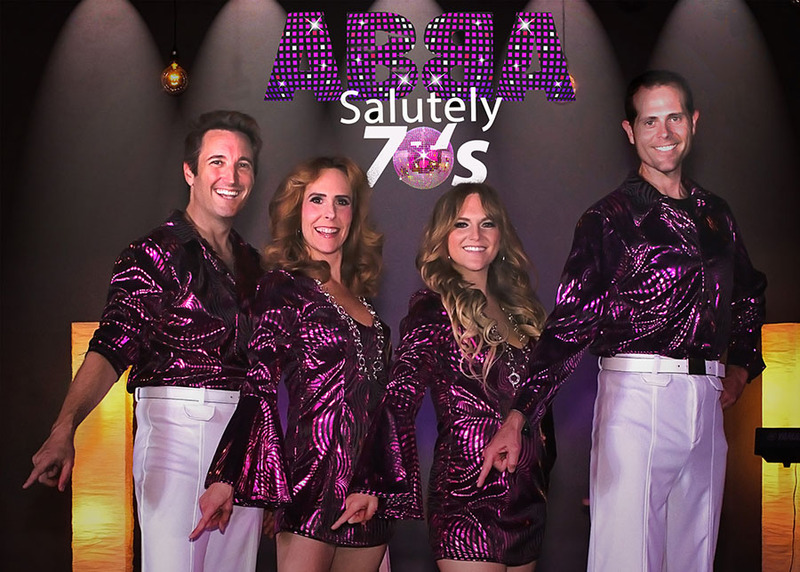 Get ready to shake your groove thang, because you won’t want to miss ABBA-Salutely 70’s.